Oil prices are more than double the December-February troughs and commodity prices generally are going up as the market cheers signs of an economic recovery. Jeremy Grantham, chairman of U.S.-based money monager GMO, warns that the world is running out of resources in the long run yet is not correctly pricing the fact. “We are simply running out of everything at a dangerous rate… As we move through our remarkable and irreplaceable hydrocarbon reserves, the price will, of course, rise remorselessly to ration supplies. We need, it seems, the shock of a Pearl Harbor to really gear up and make sacrifices,” he says. Grantham points out that in 1977 President Jimmy Carter warned that we were running out of oil and urged people to fully insulate 80% of the houses in 10 years. “Thirty precious years have passed, and there is now no safety margin. We must prepare ourselves for waves of higher resource prices and periods of shortages unlike anything we have faced outside of wartime conditions,” he writes. There is no doubt that any Italian who cares about his/her country will be more than happy to see Berlusconi toppled from the government, it is quite clear to anyone with a minimum of common sense that this government is simply there to rob the state and that needed reforms are not being done neither planned. The country is in deep recession, the debt is rising to dangerous levels, the social cohesion is being torn apart, degeneration and decline are everywhere and there is no future at the horizon. There is a systemic risk of collapse of the country and should it happen the shockwaves will be felt all over the world. Leaving aside the rhetoric on Nero/Berlusconi singing while Rome is burning, Berlusconi is increasingly becoming a threat not only to Italy but to the entire Euro area and consequently to the global economy. His inaction and corruption are turning an already catastrophic situation into total Armageddon. Italians are unable and/or unwilling to get rid of him so a new way to get rid of this psychopath had to be devised. How can you remove a Prime Minister of a Western country who has a 70% approval rating that control all the Italian media and that has placed his cronies in all the key positions of the government. In a third world country you organize a coup but in Italy? The only way is external pressure and turn his cronies against him. Until his servants will find an economic and political advantage to consort with Berlusconi he is safe, but if the external pressure on the media depicts him as weak and unstable his cronies might think that is time to jump ship before it is too late, and nowhere more than Italy the art of jumping ship has reached such sophisticated levels. Few defections from the ranks have started to appear and more will follow shortly. The situation though is complicated in Italy by the lack of a serious contender to Berlusconi, decades of lack of meritocracy in the country have impeded to create real leaders and have brought to the political scenes only petty criminals and servants with an huge appetite for ransacking and plunder but lacking the intelligence and the capacity to be players in the great global game. On one thing Berlusconi is right, there is definitely a plot against him and for sure it is a very elaborated one. The Times of London last week published an article where reliable and anonymous sources inside the Italian government where declaring that an exit strategy from Berlusconi was being seriously contemplated. Nothing specific but sufficient to raise in the readers the idea that the boat is starting to sink or rather sufficient to send a message to the cronies of the PDL that is time to switch side and repudiate the Prime Minister if they want to survive. The message has not gone un-listened in Italy and we have seen one of Berlusconi’s top servants Giuliano Ferrara to be critical with an article on “ Il Foglio” newspaper. Quite astonishing that Ferrara a notorious servant of Berlusconi can have the audacity to go against his master publicly, a clear sign that Berlusconi is day after day looking like an unstable psychopath who has lost control and touch with the reality. His latest denial of the economic crisis and a public call to muzzle the press trumpeting the latest GDP figures sounds more and more the cry of a seriously stressed and scared man, weakened and unable to face the reality that is overwhelming him. This week both Times and Independent have come back with new articles where they are asserting that Berlusconi is going to be ousted from power and replaced from Draghi the actual governor of the Bank of Italy. Draghi is a very interesting character in this story, regardless of his low profile is a very important actor in the global game. He is one of the few Italians belonging to the Bilderberg Group that some conspirational fanatics see behind the New World Order design. He is a low profile, professional that avoid any quarrel and seem an oasis of tranquility in a turbulent country. Giulio Tremonti the financial minister hates him and his attacks to Draghi are a constant leitmotiv of any financial discussion. Draghi has rarely even answered back to Tremonti’s attacks, maybe because its nature is non confrontational a rare virtue in a quarreling country or maybe simply to show that he is above petty quarrels and that he does not even deign himself to answer back to the poor low cast Tremonti. Anyway whatever the reason Draghi is clearly one of the few influential persons in Italy, esteemed internationally and with a astonishing curriculum and maybe for this reason despised by many politicians like Tremonti. One would think now that this change would be great for the country, remove a psychopathic degenerated Nero-Berlusconi for a talented, smart professional and humble Draghi. Maybe, but what if all this plot against Berlusconi was in first place to open the road for Draghi to become the leader. Berlusconi has created a dangerous void of democracy in the country destroying any possible alternative to his rule and destroying the rule of law with his legislation that has silenced the judicial system has removed the last vestiges of balance and check powers in the Italian laws and allowed him to do whatever he wanted. With this extraordinary powers in his hand whoever will replace Berlusconi will have unchecked powers not sanctioned by a popular vote and it is doubtful that he will be eager to relinquish them with an electoral and legislative reform. Berlusconi is a disgrace to Italy certainly but whoever will follow must be closely monitored. We want to be careful to sing victory when Berlusconi will be gone since the alternative could be even scarier than him. The latest news on corporate merging are seeing on Sunday June 21st Xstrata, an Anglo-Swiss mining giant, proposing a “merger of equals” with Anglo American, a big London-based miner. The combined firm, worth some $70 billion, would become the world’s third-largest mining company. After FIAT missed merging with Opel we are seeing a restructuring of the corporate world never seen before. Until 2007 such giant mergers would have been prevented from occurring due to anti-trust laws put in place exactly to avoid that a giant corporation can control a entire sector of the economy and potentially pose a systemic threat should it fall. Anti trust laws are officially still there but it appears that everyone has forgot about them, there are no inquiries, no contrary voices, not even a doubt on the possible consequences of such consolidations. The paradox of this story though is not Europe but USA. USA was the inventor of anti-trust laws to prevent the abuses and dangers of the robber barons era when Rockfellers, Astors and company were de facto controlling the economy and consequently the country. Anti-trust laws have always been at the forefront of the political discussion whenever a big merging was taking place, today is exactly the contrary, US government is not only taking equities in the corporations but dictating merging and acquisitions justified by the current economic crisis. Chrysler forced to join FIAT, Bank of America forced to buy Merrill Lynch, these diktats unthinkable few years ago are common practice in the new economic scenario. Of course, governments will tell us that all is for the greater good of the national economy, that is something they had to do, that they had no choice otherwise we would be now fighting for food scraps in the streets. I love when they use the apocalypse card!! So now we have few key corporations in key sectors, equally leveraged or controlled by the governments, not competing against each other but many times joining forces to regulate the sector and control the flow of cash, and either controlled or having as stock holder the government. First those companies controlled by the government have an unfair advantage against free companies, regardless of the good intentions and fair speeches, the government cannot afford to lose more money in unsuccessful business so if necessary will do its best to make revenue either tricking competition out or taking it out with a merger. First victim of the lack of competition and merit is the Free Market which is agonizing in USA. The merging of corporations and state let us not forget is called Fascism. Benito Mussolini believed that fascism should have really been called corporatism, because corporatism is when government and business are intertwined. Too much power is being concentrated in too few hands, we have been here before and it did not go well. We created laws and rules to prevent this concentration of power from happening again and it is scary how few months of economic decline can let us all repudiate our principles and ideals. The road to hell is paved with good intentions and we are definitely walking on it now. To understand how the world's economic system works It would be useful to read a forgotten report. The 1972 report of the Club of Rome known as "The Limits to Growth" (LTG). None of the five elements of the model is a problem in itself. But each one can become a problem. In that case, we speak of 1) overpopulation, 2) mineral depletion, 3) famine, 4) ecosystem collapse and 5) economic decline. Often, these five problems are considered as if they were independent from each other. People tend to attribute all what is going on to a single problem: peak oil, climate change, overpopulation, and so on. In particular, economists tend to see the economy as independent from the availability of natural resources. Of course, this cannot be true and in a "dynamic" model, such as the LTG one, all the elements of the economic system interact with each other; either reinforcing each other (positive feedback) or weakening each other (negative feedback). In the LTG world model, "capital" is created by investments generated by industrial activity. Capital is assumed to decay at a rate proportional to the amount of existing capital. This is called obsolescence or, sometimes, depreciation. To keep capital growing, or at least not disappearing, investments need to be larger than, or as large as, depreciation. Since investments depend on the availability of natural resources, the buildup (or the dissipation) of the capital stock depend on the progressive depletion of these resources. In the original LTG model of 1972, there were three kinds of capital stocks considered: industrial capital (factories, machines, etc. ), service capital (schools, bridges, hospitals, etc.) and agricultural capital (farms, land, machinery, etc.). In the latest version (2004), industrial capital and mining capital are considered separately, as you see in the following figure ( from the synopsis of the 30 year update of LTG). Note how the "capital" parameter (in its various forms) affects the parameters which determine the GDP. In the graph, you don't see the "capital" parameter plotted. However, industrial capital follows the same curve of industrial production. The other forms of capital have a similar behavior. All reach a maximum level and then decline, carrying the whole economy down with them. Overall, it is "peak capital." When do we expect peak capital to occur? According to the "standard run" of the LTG report, it may arrive during the first two decades of the century. It may very well be that much of what we are seeing now is a symptom of peak capital approaching: airports, roads, bridges, dikes, dams, and about everything that goes under the name of "infrastructure" are decaying everywhere in the world. The whole economic system is becoming unable to maintain the level of complexity that it had reached just a few decades ago. The Cyberwar chapter (reassuringly renamed Securing Our Digital Future Cyber Space Policy Review) is starting and in a hurry. The Obama administration is pushing for a rapid review of cyber space monitoring procedure and pushing for the appointment of a Cyber Czar. How this will impact the privacy and information freedom is not yet clear but again we are seeing the ghost of cyber terrorism being used to validate more and more Big Brother measures. Leggendo la stampa italiana durante l'ultima settimana colpisce l'attenzione prestata da tutti ai sondaggi sulla popolarità di Berlusconi. Tutti erano ansiosi di vedere se il disastro combinato da Papi e Noemi avrebbe pesato sulla sua "reputazione" politica e sulle imminenti elezioni europee. Immediatamente dopo la figuraccia la macchina propagandistica del PDL ha sfornato subito dei sondaggi che supportavano la non scalfita ammirazione degli italiani per il nostro Papi. Peccato che quasi mai appaia il nome della agenzia che ha realizzato i sondaggi. Non che gli italiani si sorprendano di questo abituati come sono ad una informazione presappochista e manipolata, più pettegolezzo ed insinuazioni che fatti e contraddittori. Un giornale serio dovrebbe pubblicare come minimo il nome dell'agenzia, affinche tutti possano controllare a chi appartiene e se sia obiettiva. Sarebbe chiedere troppo di pubblicare in pdf come fanno alcuni giornali all'estero copia del rapporto o informazione e sito web della agenzia in questione, tuttavia il nome sarebbe già un passo avanti in un paese in cui i sondaggi vengono svolti dagli amici dei politici. Infatti gli ultimi sondaggi citati da Papi sono stati svolti dalla Euromedia Research che è il settore operativo di Ghial Media Srl. Ghial è l'acronimo di Ghisleri Alessandra, la scienziata che curava la strategia di Papi Berlusconi. Quando si vuole cercare informazioni sulla reputazione di questa agenzia basta visitare il favoloso sito web: http://www.euromediaresearch.it/ si arriva ad una pagina che propone un attraente animazione web e l'indirizzo della società. Niente altro solo l'indirizzo e basta, niente informazione su chi fa i sondaggi, sulla storia della azienda, sulle metodologie impiegate, sui criteri di ricerca ed intervista. Niente di niente. Le agenzie di sondaggi in tutto il mondo lavorano per crearsi una reputazione, pubblicano tutto per mostrare che sono trasparenti e di conseguenza affidabili quando si tratta di intraprendere una analisi obiettiva ed essere quindi ingaggiate, in Italia invece basta essere amici di Papi. Questi sondaggi sono stati ripresi da tutte le testate ed agenzie giornalistiche italiane. La maggior parte delle testate non ha menzionato la fonte, quelle invece piu' audaci hanno menzionato il nome della agenzia senza aggiungere altro. Ora mi chiedo io, questa situazione sarebbe politicamente un'arma preziosa per l'opposizione; smascherare la manipolazione non solo mediatica ma anche statistica della realtà in Italia. Perchè non lo raccontano, perchè nessuno dice niente? Forse perchè sono tutti peccatori quando si tratta di verità ed obiettività. Tra i tanti cambiamenti previsti, i diversi meccanismi di retribuzione basati sulla premialità: "Solo il 25% dei dipendenti pubblici, e il sindacato è d'accordo, avrà a disposizione il 50% di tutte le risorse destinate alla premialità. - ha anticipato il ministro - Non è stato fatto mai neanche nel privato se non per qualche iniziativa singola". Il giornalista ha fatto bene a menzionare in anticipo che il sindacato e' d'accordo con questa rivoluzione copernicana della pubblica amministrazione, se il sindacato e' d'accordo ci possiamo fidare ed evitare di leggere il resto o indagare ulteriormente su che casino stanno combinando. Peccato che il lettore italiano normale non capira' per niente che succede visto che i giornali italiani hanno la pessima abitudine di iniziare con i distinguo, commenti, storielle varie per poi mettere la notizia vera alla fine, ossia quando un lettore normale si stanca e smette di leggere (triste ma vero). Here’s how to read this chart. The horizontal axis shows public social spending as a percent of net national income. The vertical axis shows the Gini coefficient, which is a measure of income inequality. A low Gini coefficient means a country has more equal income distribution, while a high Gini coefficient shows more unequal distribution. The interesting part about Italy is the amount of social spending and the results in terms of social improvement this spending brings to the people. We are the only major industrial country with a very high social and income inequality. Despite spending almost 30% of our national net income the results are discomforting. The only developed country faring worst is United States which is spending only 18%, almost half of Italy spending and with slightly worst results. Everyone else regardless of the spending is faring astronomically better than Italy. This is telling us something about how the spending is done in Italy. Spending is not finalized to real social improvement but it becomes capital flushed in the public sector with little or none oversight which is routinely looted by corrupt officials and politicians and distributed to their cronies, affiliates and families. This capital which should be targeting the reduction of inequalities is becoming in first instance the source and engine of the growing inequality gap. It would be nice at least once to see the Italian media reporting these news in order to start a debate on what kind of society is Italy devolving into. Unfortunately there is little hope of this in a country whose media are muzzled and tamed by the Prime Minister and the people is either band-wagoning on the looting parade or silently living in denial and apathy. The Italian Senate has erased the issue of global warming from the political agenda following a request of our most talented scientific minds: Marcello Dell’Utri, Domenico Nania e Adriana Poli Bortone (all members of the PDL governing Party). Following their indications is now denying any human responsibility for the climate change occurring. The document was signed by 34 senators of the majority party PDL and asked also to intervene urgently with the European Parliament and the G8 to rectify this misunderstanding of the scientists from all over the world in believing that global warming if unchecked will produce disasters soon. According to this great scientific minds of the Italian Parliament we can go on polluting, ransacking and destroying as usual since there is no proof that humans are causing damage to the environment. It would be interesting to know how much these potheads have been paid by Eni and other energy companies to support this madness. For sure it will be a good laugh to see the government explaining to the EU these solid scientific conclusions. Another proof that Italy is slowly drifiting into complete denial, isolation and devolution. Turkey and Latvia were in the news last week, having joined the list of governments whose IMF disbursements are being withheld because they find it politically impossible to impose the required punishments on their citizens.The IMF sees these measures as necessary and pre-determined – in most cases by the borrowing countries' having run-up unsustainable external or budget imbalances. But in fact the IMF has a long track record – dating back decades – of imposing unnecessary and often harmful conditions on borrowing countries.Latvia missed a 200 million euro disbursement from the IMF in March for not cutting its budget enough. According to press reports, the government wants to run a budget deficit of 7% of GDP for this year, and the IMF wants 5%. Latvia is already cutting its budget by 40%, and is planning to close some public hospitals and schools in order to make the IMF's targets, prompting street protests. Latvia's GDP crashed by 18% in the first quarter of this year, after a 10.3% drop in the preceding quarter. These are among the worst declines in the world. This indicates that the IMF's prescription is serious overkill. The purpose of IMF aid is supposedly to make any necessary adjustment easier, not worse. Pakistan is facing serious political problems right now, having recently launched a major offensive against a growing Taliban insurgency. Slowing Pakistan's economy at a time when the global economic crisis is already doing that may not be the best policy from the point of view of political stability. The IMF has negotiated an increase in Pakistan's fiscal deficit from 3.4% to 4.6% of GDP, but is holding the line against lowering interest rates. In almost all of its standby arrangements negotiated over the last year, the IMF has included conditions that will reduce output and employment in situations where economies are already shrinking. 1) where Fiat is getting the money to merge with Chrysler and get control of Opel, Saab, GM Europe and Latin America? Just few months ago Fiat was in so big troubles that the Italian government had to create a new auto plan to stop plumbing profits. A new incentive plan was hastily devised just for FIAT after Marchionne made clear that the group was risking not surviving the year and threatened massive lay-offs. Few months after FIAT was supposedly still in trouble but was seeing some green shoots with the Chrysler joint-venture. Few weeks more and today FIAT wants to become the second largest auto corporation of the world. 2) Is the Italian government involved? Marchionne declared at the beginning of the year that he was seeing by 2010 only a handful of auto companies surviving and that FIAT needed to grow big fast to survive the collapse of the auto industry. Undoubtedly he is taking advantage of the situation created by the collapse of GM and Chrysler to scavenge companies for a bargain price. Still is hard to believe that a company that was in dire finances just few months ago can pull out such a plan without any financial backing of a strong partner. Is the Italian government providing financial support with taxpayer money to the expansionist dreams of Marchionne? I think so! 3) Why Marchionne is so anxious to close the deal so fast? Is he aware of what is coming? Marchionne is pushing for a deal in matter of days. For sure the fact that GM has a deadline till the 1st of June to return profitable or go bankrupt has something to do with his eagerness to grab as much as possible now at bargain price and easily rather than later when GM will be under bankruptcy protection and red tape and political litigation will make the task more burdensome. It is not clear yet if the bankruptcy protection for GM will be chapter 7 or 11 so either will be shut down completely or will be downsized, nationalized but still operating at minimum capacity. Still beside this the urgency of Marchionne and the rapidity of the events is something unprecedented and it smells horribly. A disturbing trend in a global economy is the bankruptcy outsourcing we are starting to witness in the world. Global companies are taking bail-outs from different countries and in some cases from more than one at the same time. Bail-outs are becoming for some companies a new form of revenue. GM for example has been bailed-out from the Canadian government after scaremongering plant closures in Ontario. Unicredit the Italian bank which has invested and lent heavily in Eastern Europe has been supported by the Polish and Austrian government. Greek banks have asked contributions to Eastern European countries to leave their capitals in the country and after some weeks moved back to Athens a big bulk of their assets. Wherever corporations have employment and financial leverage with the local government a bail-out request is being put forward. It is not always a request for money but also a request for favours and deregulation, economic crisis is allowing companies to obtain advantages that until 1 year ago were considered serious infringements. Eastern European governments not notoriously rigid in their supervision are in this period closing not one but both eyes. Companies are threatening that if ad hoc measures are not undertaken their financial situation could be deteriorating and they would be left with no choice than moving their assets and capitals to different location. Taxpayers are effectively paying a bribe to corporations for the luxury of keeping inefficient, corrupt and broke companies in their backyard. If a company is broke should be allowed to fail, we are delaying the inevitable buying some time with our savings. Though the interesting scenario especially in Europe will be to assist to the collapse of one of those corporations, which country will take the paternity of a fiasco and will make its citizen pay for this? how fast and how seriously the economical infection will spread to other involved countries? Unfortunately we have a monetary union in Europe but we do not have yet a single reference for crisis like this, ECB cannot and will not cover the losses leaving to local central banks such issues. The Iceland-England quarrel on the lost assets of UK councils who invested in the failed Icelandic banks teaches us a lesson on how this issue can bring to a fracture or collapse of the European cooperation. If countries will start to freeze each other investments and assets to cover the losses we will have a Great Depression 2.0 in a matter of weeks. These days certainly we do have an abundance of gloom and doom subjects: the latest in the hit parade, swine flu is joining global warming and recession/depression at the forefront of media discussion. It remains to understand though why the two key actors Population and Peak Oil are hardly discussed. Population and Peak Oil are the source of every imbalance we are witnessing today; Global Warming, Water and Food depletion, Wars, Economical Crisis, pandemic etc. etc. are all consequences of these two strongly interlaced factors. It is true that recently Peak Oil has started to be acknowledged by the oil experts and oil corporations that until 1 year ago were strongly calling everyone proposing the theory a lunatic. Total, Aramco and others have finally acknowledged the fact that peak oil is here and that we probably peaked in 2005. The excellent work of Matthew Simmons and Colin Campbell at explaining this potentially catastrophic issue is finally being considered more broadly by the establishment even though a large scale acknowledgment and discussion is still missing. Population on the opposite is still widely ignored or diminished of magnitude, being the most delicate of the issues is being addressed with soft tones and occasional innuendos that are preventing any serious and drastic remedy. It is quite sad considering that population was a serious discussion in the 60s and 70s when the Club of Rome issued the famous report: The Limits to Growth. Since then the issue has not been revisited anymore and has fallen in the sands of oblivion. If the economy and corporations need always more and more clients to increase their revenue; growth in all its form cannot be bad! Right! Well it is wrong actually! Unlimited and undisciplined growth in a world with finite resources is a monstrosity and a disaster being manufactured. We have had an explosion of population in the last 100 years due to the abundant and cheap oil. Abundant and cheap oil allowed for the Green revolution which increased 10 fold the food output, allowed for transportation, manufacturing and energy to be readily available for a growing number of people, but now we are at a turning point in human history, oil is no longer abundant and cheap anymore. An oil shock according to many experts is only months away and a gas and food and water shock could follow in various parts of the world in the following years. Controlling the world's population explosion is now more than ever essential to avoid an armageddon scenario unfolding in the following years. The obstacles to control the population are first of all moral and political. Democracy and human rights by themselves are blocking any attempt to tackle this enormous problem, a new rethinking of what is a a sustainable democracy and what are human rights is longely due. Human rights were proclaimed in a very different world from the one we are entering into now. Western civilization was controlling the entire planet and consuming 90% of the resources. Today hugely populated countries as China and India have entered the game as superpowers and they joined the party when only scraps have been left on the table. If the population of China would live according to European standards we would need the resources, food and water of an extra 6 planets. They will have to compete with the rest of us for those last scraps. Democracy will not survive when the first signs of resource and social stress will show up and human life in the following years will become much cheaper. Two paths are available either we continue on this road and then we will face resource wars, disasters and pandemics unleashing each year; or we accept that current population levels are unsustainable that our ant community has grown too big and too fast and that we need to rebalance the population level even with draconian measures. Ignoring the reality or being indolent in addressing it will only increase the price we will have to pay in terms of lives and social collapse when nature will take care of it soon! Some scary things are happening right now and I will report them in following posts! Be tuned! "American regulators are examining the close links between Apple and Google, reports the New York Times. It's no secret that Apple and Google share two board members: Eric Schmidt, Google's chief executive, and Arthur Levinson (formerly of Genentech), but the rules on whether such ties promote anti-competitive behaviour are now being looked into." It is encouraging to notice that someone is still concerned about competition, trusts and monopolies. Since the crisis started we have been witnessing corporations merging, buying and consolidating as they wish will little or no oversight. All this has been justified in the context of the economical crisis and supporting the faulty logic that if they do not grow gigantic they will not survive this crisis. There will be a new anti-trust regulation when and if the crisis will end to prevent a handful of companies to control an entire sector of the economy? The answer will be most certainly NO! Since by then they will be too big to be split and too big to be controlled by any authority or government. Phase II of the corporation evolution has started in September 2008 and although at the moment we see them as victims of this crisis It will not take long to see clearly that they are a dangerous concentration of power and wealth. If USA poses itself the dilemma of competition and monopolies, in Italy there is no discussion on these issues at all. Italy has more problems with unfair competition and monopolies than US. A peculiar distortion of the Italian market is the possibility for a member of the board or a CEO to serve simultaneously in different companies. Some of them even serving at the same time in competing companies. Any other country would see this as a disaster for the company since the chances for inside trading, competition manipulation and corruption are endless. Not a problem in Italy since most of the members are chosen or imposed politically and on the basis of the leverage they can bring to the company. Ethical considerations are still non-existent in Italian companies. The stock exchange in Milan is one big happy family manipulating balances and defrauding. Parmalat crack brought to the attention of the world the incredible corruption and manipulations of the Italian financial market but still this is the tip of the iceberg. The system is practically rotten, overburdened with debt and the only reason it is still surviving is due to the fact the Italy is a paradise for crooks, balance frauds and book cooking are no longer prosecuted and it is a common practice. The Italian financial system is all image with no substance, this economical crisis will bring more and more cracks on the facade of this house of cards. Few years ago a UNESCO report was proudly announced in Italy as a further proof of the cultural and artistic leadership of the country, according to UNESCO almost half of the entire world's artistic and cultural heritage was in Italy, a concentration of art, archeological sites, museums, landmark buildings that has no comparison abroad. If properly managed the Italian heritage could be a gold mine for the battered Italian economy. Italian government has decided to act on the state of mismanagement and decay affecting the country's heritage appointing Mario Resca former boss of McDonald’s in Italy in charge of 3,600-odd government-run museums and archaeological sites. Mario Resca is at the same time in the Board of the Mondadori Group and Eni Spa. He declared that he wants to start with a marketing, revenue generating promotion of our heritage. Italy’s heritage is badly managed. Some of its museums are unwelcoming places with poor facilities. The most popular, the Uffizi in Florence, came only 21st in a 2007 World Ranking with just 1.6m visits and the 2008 ranking is even worst with only the Vatican Museum (not managed by the Italian Government) making among the top world museums (see table above) . Yet attractions that are more popular are not necessarily well conserved. The ruins of Pompeii drew 2.6m visitors in 2007, but such is the dilapidation at the site that the government has declared a state of emergency. Civil Protection (the equivalent of FEMA in USA) had to intervene to simply manage the site and even more incredible was its intervention in the restoration process of a statue in Florence. Since the government and local authorities are unable to manage on a normal basis any public service due to red tape, bribery and sloppiness the only solution for prompt and deadlined interventions is to declare it by decree a national emergency, then Civil Protection can intervene, use the emergency funds and solve the mess in a certain and short time. The region (Europe) registered one status downgrade in 2008, as Italy slipped back into the Partly Free range thanks to the increased use of courts and libel laws to limit free speech, heightened physical and extralegal intimidation by both organized crime and far-right groups, and concerns over media ownership and influence. The return of media magnate Silvio Berlusconi to the premiership reawakened fears about the concentration of state-owned and private outlets under a single leader. Politicians did not even bother to comment to the embarrassing downgrade. What do they care if the image of the country is tarnished abroad, they are too busy corrupting and plundering the country. We are now enviably located between Benin and Tonga, the only European country to be partly free, good job Italy! Few years more and we can proudly accomplish the return of totalitarism in the country. La descrizione fatta dal giornalista sugli eventi delle veline candidate lascia a bocca aperta chi come me vive all'estero da anni ed è abituato ad una politica seria, una politica di professionisti che servono il paese. ....Per ricevere le pacche sulle spalle da La Russa: "Signorina l'abbiamo appena candidata, mi lasci anche il numero di telefono, se ha bisogno per la campagna elettorale mi faccia uno squillo che io sono sempre disposto a dare consigli..." E la Matera, poi (unica sopravvissuta della categoria, ndr), al corso è stata sempre zitta, mentre io facevo le domande a Frattini. Ora risulterà solo che ero nel corso delle ex veline candidate da Berlusconi. Figura pessima". Il ministro La Russa sale immediatamente alla mente con i suoi occhi strabici ed il suo sorriso da maniaco pronto ad aiutare sempre ed a qualsiasi ora l'aspirante parlamentare europea, una scena da vomito che sicuramente ben pochi in Italia vedranno in questo modo. La maggior parte degli Italiani al contrario sorriderà divertita alle avancè del ministro La Russa è vedendo la foto della velina lo invidierà per la sua posizione che gli permette di poter ambire a tale trofeo. Sicuramente non arriverà mai alla mente dell'italiano medio berlusconizzato che queste forme di vile utilizzo della propria posizione istituzionale và contro la dignità ed il decoro che un servitore dello stato dovrebbe mostrare in qualunque momento, si tratta di abuso d'ufficio; in altri paesi anche solo il sospetto di tali abusi porterebbe alle dimissioni immediate. Ma del resto ormai la dignità nella politica italiana non si vede più dagli anni 70. La povera velina non si indigna per queste frasi chiaramente ambigue ma al pari di una bambina delle elementari si lamenta del fatto che in classe lei faceva domande e portava attenzione alle lezioni mentre l'unica debuttante confermata no. Roba da far restare ammutoliti! Ma quale corso stavano frequentando le nostre aspiranti oche giulive? Le più ambiziose, candidatura in tasca, avevano frequentato la quattro giorni di via dell'Umiltà, prof d'eccezione i ministri Frattini e Brunetta. Stile corso rapido di recupero, 4 mesi in quattro giorni. Due ministri che davano lezioni di politica in quattro giorni a delle veline? Ossia che queste oche sarebbero state pronte a fare gli interessi del paese in Europa con un corso di 4 giorni tra un pacca ed una avance dei ministri? Ad un'altra giovane napoletana, Emanuela Romano, non ha giovato neanche il gesto estremo del padre, che ha provato a darsi fuoco davanti Palazzo Grazioli. In un paese normale una cosa del genere non succederebbe mai e se succedesse lo si farebbe in segreto per evitare l'indignazione pubblica e il licenziamento per abuso d'ufficio. Il fatto che non solo lo abbiano fatto alla luce del sole con tanto di copertura dei media e che nessuno critichi o dica qualcosa di questi comportamenti la dice lunga sul declino e la degenerazione italiana. Siamo diventati un paese di vecchi magnaccia e di prostitute, un paese di sfruttatori e di sfruttati, un paese senza più valori. Ormai il doversi prostituire per tirare avanti che sia fisicamente o moralmente e piscologicamente ha raggiunto livelli endemici tali che nessuno si stupisce più di queste notizie. Tutti sanno, tutti fanno gli estranei e tutti sono pronti a farlo qualora capiti l'occasione, il tessuto morale del paese si è disintegrato sotto i nostri occhi e non resta altro che una mente svuotata da valori distorti e corrotti. Che Dio salvi l'Italia se ce la fa! Dr. Marcus Gitterle, an emergency medicine physician based out of New Braunfels, Texas, sent out an internal alert which contains several stunning claims about swine flu that, if true, officials have presumably sought to keep from the public. "What we are hearing privately from the CDC and Health Department is different from what you are hearing in the media,” writes Gitterle. The doctor claims that the actual number of confirmed cases of swine flu is 10 to 25 times worse than has been reported, and that people are not recovering easily, as has been claimed, but that many Americans are in fact seriously ill.
“The way they fudge on reporting this is that it takes 3 days to get the confirmatory nod from the CDC on a given viral culture, but based on epidemiological grounds, we know that there are more than 10 cases for each “confirmed” case right now,” claims Gitterle. The doctor states that the severity of the situation has already crossed the threshold of the definition of a WHO phase 6 pandemic. “This has not happened in any of our lifetimes so far. We are in uncharted territory,” he writes. Gitterle claims that President Obama is being advised to declare a national emergency and that this could happen within the next 48 hours. “Since it is such a novel (new) virus, there is no “herd immunity,” so the “attack rate” is very high. This is the percentage of people who come down with a virus if exposed. Almost everyone who is exposed to this virus will become infected, though not all will be symptomatic. That is much higher than seasonal flu, which averages 10-15%. The “clinical attack rate” estimation from CDC and WHO may be around 40-50%. This is the number of people who show symptoms. This is a huge number. It is hard to convey the seriousness of this to those outside of the medical fields,” he writes. How to bankrupt a country ! Are we not supposed to know better this time and avoid the mistakes of the past? The modality of the Swine flu infection does not make sense at all. The first question is how almost simultaneouly the same flu appeared in Mexico and US, let us suppose for a moment the Americans were infected in Mexico few days ago and travelled back to US, should they not be dying like the Mexicans, how is possible that simply going back to US they suddenly get a mild version of the flu. If this is not the case, then we have more than one epicentre of the flu, a mild one in US and a dangerous one in Mexico, then again why New Zealenders, Europeans and Canadians infected in Mexico go back to their countries with a mild flu. It seems like there are two versions a weaponized one unleashed in Mexico and a controlled one unleashed in US. Let's suppose for a second that it was a plan to spread chaos all over the world. Let us ignore for the moment who did it but rather why it was done. What is to be earned from adding to a financial crisis a pandemic crisis on the top. Well a lot maybe if they are aware that the end of the game is closing, if the financial meltdown put together with the oil scarcity that will be on us soon is going to cause turmoil in the society, what better way to advocate draconian measures with the justification of preventing a pandemic outbreak. Saudi Arabia, OPEC’s biggest oil exporter, is producing less crude than its target and global stockpiles are likely to decline, according to Oil Minister Ali al-Naimi. The country is producing less than 8 million barrels of crude a day, al-Naimi told reporters today in Tokyo, where he is attending a meeting of Asian energy ministers. Stockpiles “will come down eventually,” he said. The first industry affected from this outbreak is travel, notoriously the biggest user of oil. Is it an attempt to stop the hemorragy temporarily or is an attempt to cripple the industry and therefore the global mobility. In both cases financial distress will be high and a further destabilization force will cripple the global economy, though it will be much less traumatic than waking up three months from now with no gasoline and with a total economic collapse. Going back to the swine flu: the first question media asks normally is HOW, this time we do not have a clue yet how this people got infected and how the flu spreads, everyone is waiting to understand what CDC and WHO will say or better what justification they will engineer for us to avoid embarassment. Some news and doubt though are surfacing, this time it appears more people than usual is struck by such an odd series of events which inevitably bring to suspicions. However, it’s important to stress that it is far too early to make this assumption. Watch out closely the events this week! Traders are whispering that some governments are buying their own debt through proxies at bond auctions to keep up illusions – not to be confused with transparent buying by central banks under quantitative easing. Commerzbank said every European bond auction is turning into an "event risk". US hedge fund Hayman Advisers is betting on the biggest wave of state bankruptcies and restructurings since 1934. The worst profiles are almost all in Europe – the epicentre of leverage, and denial. As the IMF said last week, Europe's banks have written down 17pc of their losses – American banks have swallowed half. Central bank holdings have fallen by $248bn to $6.7 trillion over the last six months. The oil crash has forced both Russia and Venezuela to slash reserves by a third. China let slip last week that it would use more of its $40bn monthly surplus to shore up growth at home and invest in harder assets – perhaps mining companies. Hayman Advisers says the default threat lies in the cocktail of spiralling public debt and the liabilities of banks – like RBS, Fortis, or Hypo Real – that are landing on sovereign ledger books. A disturbing number of states look like Iceland once you dig into the entrails, and most are in Europe where liabilities average 4.2 times GDP, compared with 2pc for the US. There could be a cluster of defaults over the next three years, possibly sooner. The G20 deal to triple the IMF's fire-fighting fund to $750bn buys time for the likes of Ukraine and Argentina. But the deeper malaise is that so many of the IMF's backers are themselves exhausting their credit lines and cultural reserves. Political and labour leaders in Germany have raised the spectre of civil unrest after the country's leading institutes forecast a 6pc contraction of gross domestic product this year, a slump reminiscent of 1931 and bad enough to drive unemployment to 4.7m by 2010. Swiss risk advisers Independent Credit View said a "second wave" of debt stress is likely to hit the UK and Europe this year as the turmoil moves from mortgage securities to old-fashioned bank loans. A detailed "stress test" of 17 lenders worldwide found that European banks have much lower reserve cushions than US banks, leaving them acutely vulnerable to the coming phase of rising defaults. "The Americans are ahead of the curve. European banks are exposed to US commercial real estate and to problems in Eastern Europe and Spain, where the situation is turning dramatic. We think the Spanish savings banks are basically bust and will need a government bail-out," said Mr Jeggli Credit View's founder. It takes longer for damage to surface with Europe's traditional bank loans, which buckle later in the cycle as defaults rise. Defaults both corporate and sovereign are looming on the horizon and the latest stats below are not encouraging at all. Fitch calculates that the debts of Britain, France and Germany will converge at around 78pc by the end of 2010, all pressing against the limits of AAA respectability. Italy will reach 115pc. Japan is in a class of its own with debt nearing 200pc of GDP next year, not a happy picture for a country slipping into demographic decline. The working population peaked in 2005. The number of wealth creators needed to finance the debt shrinks year after year. This curse has already hit Eastern Europe and will soon strike Germany, Italy, Spain and China. Britain’s ageing population crisis is less severe, which has major implications for the sustainability of debt over the long-run. The US and Australia are healthier. The new map will be much darker by the end of this year. Reckoning time is coming the only thing unclear is which country will default first. One thing is sure though that the default of an European country will trigger a contagious spread all over the EU area and beyond! The IMF said on Tuesday that banks and other financial institutions around the world faced losses which could amount to $4.1 trillion. It said banks would likely need to raise $875 billion in fresh capital. In offering new economic projections, the IMF said government measures to battle recession should be sustained, if not increased, in 2010, warning that premature withdrawal of stimulus could set back a recovery. It said interest rates in major advanced economies are likely to be lowered to or remain near zero, and said authorities should move quickly to cut interest rates where there was room for further easing. One question is rising where the money for all this stimulus will come from, the kitty is empty already and more spending will bring us straight to the Greatest Depression. La situazione economica italiana peggiora di mese in mese, il debito cresce alle stelle, la disoccupazione (la reale non quella ufficiale) aumenta in maniera drammatica ed il governo italiano e' l'unico in Europa a riuscire ad occuparsi di tutto tranne che della crisi economica. vengo o non vengo alla festa del 25 aprile! Per non aggiungere poi le mille imbecillita' di cui si occupano i giornali ed i politici ogni giorno. Sembra incredibile da un punto di vista esterno che un intero paese vive in uno stato di indolenza. I giornali italiani e stranieri snocciolano ogni giorno cifre drammatiche sulla economia italiana, in qualsiasi altro paese la classe politica si mobiliterebbe immediatamente per mostrare che lavora ad una soluzione, in Italia invece non si preoccupa neanche di un commento, ignora la situazione e dirotta l'attenzione del pubblico attraverso il controllo dei media su argomenti futili e su melodrammi politici. Il tempo passa ed il declino dell'Italia si accentua senza che il governo abbia fatto ancora una riforma qualsiasi di un sistema ormai incancrenito. Qualsiasi richiamo al dovere ed alla responsabilita' nei confronti del paese cade nel vuoto. Ormai questa classe politica ha un solo scopo succhiare il sangue del paese fino all'ultima goccia senza porsi il problema del domani. Loro non pensano al futuro e stanno condannando il paese ad un futuro di miseria morale ed economica. Chissa' quando il popolo dei pecoroni italiani si svegliera'! Last week Israeli President Shimon Peres dismissed the idea that Israel is planning any kind of attack on Iran’s nuclear facilities. But The London Times reports the Israeli military is getting ready to do just that. They say Israeli forces have acquired special aircraft that would be required for the strikes, and are practicing missions to simulate an attack. The newspaper also reports there will be two nationwide drills to help the public prepare for any potential retaliation. One senior defense official tells the Times that Israel wants to know they could strike Iran within a matter of days or “even hours” if given the green light. It’s believed Israel would need to hit more than a dozen targets, including moving convoys. A month ago the International Monetary Fund was charged by the G20 finance ministers with finding out precisely how the balance sheets of the world's major banks would look if they were to get back to lending again at more or less the rate they were in the pre-crisis days. Today the Fund delivered its verdict and it is both clear and terrifying. This crisis is far from over and it is systemic. It is the consequence not of a simple one-nation housing crash or a consumer slowdown but a catastrophic collapse of the financial system. This together with global warming, peak oil and depletion of resources and water is summing up to create a perfect storm! Let us brace ourselves! I propose below the integral interview of Steve Andrews to Matt Simmons, for anyone who is interested in the 2009 evolution of the economical and oil crisis is a must to read. Question: How has demand for your presentations and TV experiences moved up or down with the price of oil? Answer: The flow doesn’t seem to be as intense as it has been periodically. There was one point late last May when there were five different programs doing something on oil and I just happened to be in New York for three days, so I’ve never had a busier back-to-back-to-back. I’ve done three live interviews the last three weeks and I was interviewed six times last week in Europe. Question: The Economist, which ran their famously wrong story “Drowning in Oil” 10 years ago this March, recently did a story on you. How did that go? Answer: The writer said that, “my editors were really quite surprised.” He did a very balanced job of reporting, and he said they had never really heard the peak oil story before. The next week in Europe, I spotted a kiosk with The Economist with “Drowning in Oil” on the cover. I read it in the cab and realized this is twenty times worse than I ever would have thought. That was on Tuesday. On Friday, the oil ministers of Saudi Arabia, Mexico and Venezuela brokered a deal to take 2.1 million barrels a day off the market. When they cut, they actually cut into a balanced market. Within 18 months, oil was up around $30 and we were dumping 30 million barrels from the Strategic Petroleum Reserve into the market to cool it down before the election. The writer didn’t start out with a hidden agenda. He simply wondered what the implications of these low oil prices are. This was the era when the majors believed that technology had brought the cost of oil way down for a decade or two to come. Question: Have the media treated you fairly? Answer: A few people have been trying to paint me into a corner for a long time. But by and large, I’ve been treated unbelievably fairly by the media. And I think one of the reasons is based on the feedback I get, which is “thanks for the easy way of describing these things so they aren’t so mysterious. And you have facts—most people don’t.” My thinking: do your analysis first; second, check it again; third, don’t rely on a third party; then, if that’s what you conclude, go ahead and speak out with the courage of your convictions. Question: Do you recall when you started studying the peak oil story? It was sometime in the 1990s? Answer: I wasn’t studying the peak oil story then. In 1989, I began pondering—as it was clear to me that the worst was over in terms of the smashed rig count—when it would have a deleterious impact on oil supply in the US. At that time, it hadn’t had nearly the detrimental impact that I would have thought. We started running correlations of wells drilled vs. reserves added. It appeared that there was a two- or three-year lag; there’s almost a perfect correlation of when the decline starts… That’s when I realized how few people knew that if you don’t drill, it eventually shows up. Then in the early 1990s I started hearing the first of what became a loud chorus of commentators about how modern oil-field technology had been the game-changer—that we only needed one rig for what we used to do with 8 rigs because of horizontal drilling. And because of 3-D seismic we no longer drill dry holes. Since our firm did all the investment banking in all those technologies, I felt ‘what an unadulterated bunch of baloney. None of this is true.’ That’s when I started realizing that few people in the industry really appreciated what decline rates were. So I spent an enormous amount of time during the 1990s trying to analyze depletion data: the rates of decline. As the fields started using those technologies, the decline rates accelerated. At that point I still didn’t understand what the peak oil issue was all about because I automatically assumed that we had so much oil in the Middle East that we’ll never have peak oil. But I thought if we don’t spend a ton of money in the Middle East, we’ll have peak capacity. And what’s the difference? We have it in the ground but we can’t use it. So it was probably when I started doing the study on the world’s giant oil fields that I started glimpsing maybe the Middle East is an illusion too. Question: When did you publish that giant oil fields paper? We still view it as a ground-breaking paper in the long-evolving peak oil story. Answer: December 2001, I believe. I was speaking at a Council on Foreign Relations event in the winter of 2002 and Ken Deffeyes came up from Princeton and told me, “Your giant oil fields study is the most important work since Dr. Hubbert did his original analysis. It’s the first time that anyone’s looked at flow rates.” It certainly gave me some context for when I finally spent a week in Saudi Arabia; you hear about that handful of enormous fields…well, take note because that’s all they have. So it was the late 1990s [the interest in peak oil]. 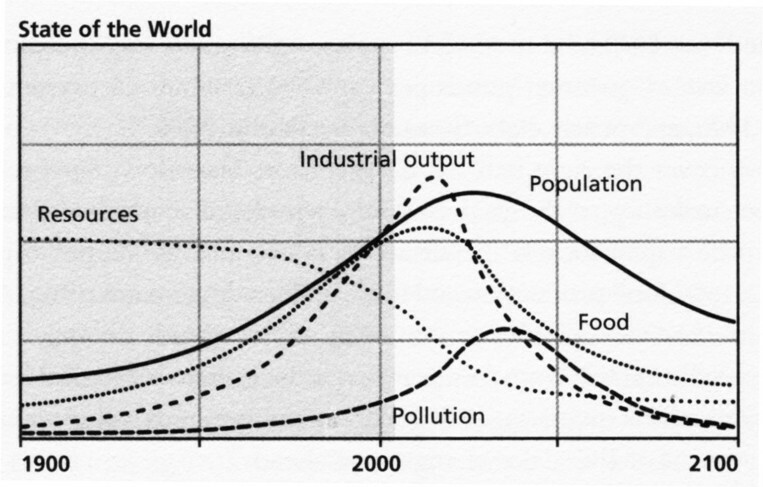 But again, my fascination was, how do we replace these decline curves? As flows start to slip, unless you start spending a lot of money in the Middle East, I don’t care much oil you have in the ground. And by then, I started to realize that I don’t think “reserves “mean anything. Because I’ve watched, being on several boards of oil companies reporting 130-140% proven production additions than they produced over the years, while in five years production growth has gone to zero. I asked, are you sure these numbers mean anything? Question: What are the big differences between the demand drops post-1978 and today? Simmons: They’re as comparable as the Crimean War and the Vietnam War. I recently heard Leo Drollas and Ed Morse presentations in which they lamented that “we should have learned from 1979 that high oil prices kill demand: they always have, they always will.” I have told people over the last few months that today has no earthly resemblance to what happened in 1979. When oil prices were still rising in 1979, the world was seriously rolling out the only new form of energy in the 20th Century—atomic energy. It had been building for 15 years and that wasn’t in response to $30 oil. In 1979, we were still bringing in oil from three of the last great frontiers, all discovered in 1967-69: Western Siberia, the North Slope of Alaska, and the North Sea. High oil prices kept those expensive projects afloat. With respect to demand today, some of the OECD countries are now very mature and haven’t been growing their populations or economies. Japan and parts of Europe are pretty gray, pretty mature, so we shouldn’t be expecting robust growth in either their economies or in oil demand. Along came June-July-August numbers out of the EIA, which are the only sort-of-reliable near-term estimates we have on demand. People started to observe that we’ve finally seen a crack in gasoline demand, starting to decline year-over-year. All sorts of stories started circulating how gasoline demand has finally turned down for the first time since 1990. In July in Maine, which is peak tourist season, many of the gas stations we passed were down to one pump in operation. When I asked why, I was told their supply was being allocated, restricted. At least one of the distributors had small gas stations on credit watch, since they were lending them product to the tune of $400,000, leading to large exposure for skinny margins. So they were limiting supply to avoid write-offs from dealers that might go bust. In the spring of 2007, I spoke with Linda Cook at the EIA event in April. I said that with gasoline stocks at such unbelievably low levels, we need to be concerned about potential shortages leading to a panic that people would respond to by topping up their tanks, which could dry the system dry in two or three days. I asked her if they had ever considered this, and the need to possibly print up rationing tickets. She did, and said she was laughed at—“Linda, you’re hallucinating.” She said she had been noticing that at service stations in the Beltway area, when she looked at the last purchases on the pumps, a lot of them were at $5 or $10, rather than filling up. People were driving around with just-enough gasoline in order to avoid having to pay for a full tank. Last summer, AAA reported that they had a 17% increase in their use of tow trucks for people who had run out of gas. Then came September, and we had the big collapse, because we had two back-to-back hurricanes. Right after Ike hit, Houston was without power for the better part of two weeks. Refineries, with their own generators, were without power just long enough that we had service stations with outages that spread all across the south, as far up as Maryland. Only the Atlanta part of the story was covered, other than by local news, because the national news was being totally dominated by failures of Lehman Bros., AIG, Merrill Lynch, etc. Had we not had the financial meltdowns, those other stories would have been covered, then motorists would probably have topped up their tanks and we would have run out of gas. At the recent Yamani Conference, Paul Horshnell, who does a fabulous job, said that we’ve seen the worst of the demand destruction in the US, which clearly had to be impacted by the hurricanes. But when you look at the IEA’s demand drop for 2009, two-thirds is coming from the US, based on the assumption that the third quarter wasn’t an aberration but a trend. Yet if you look at gasoline consumption over the last five months, gasoline consumption is up 2%, then down 2%, then up again. Diesel fuel is still down about 10%, but most of that is exports. Then jet fuel is down 10%. Relative to the price collapse, you would expect a major drop as opposed to the modulation we’ve seen. It’s more or less unchanged, vs. a headline story. Question: Even with all the storage topped up and all the so-called floating storage…? Simmons: The latter is a bunch of BS. First of all, to play that game, it would basically mean that for the idea of possibly capturing some found money, you somehow airlifted oil out onto a tanker and you figured that somehow or other you’ll deliver it at Cushing. The near-month price for WTI was the only month that had this sharp contango; the others were way higher. Do you know how much it would cost to store 80 million barrels? Over $5 billion. It’s an extremely expensive game to play, which is why no one does it, other than in the minds of oil traders. Every time the price collapses, you gotta have a reason for it. Our finished supplies of gasoline are down to 89 million barrels. We’re back to where we generally are after a long savage hurricane. So we better hope that motor gasoline demand is way down because our stocks are very skinny. Stocks of crude are back where they were in April-June of 2007. They are on the high side of the historic averages, but for the last five years we’ve bounced around the lowest levels we’ve ever had. Back in 2007, we weren’t saying we’re drowning in oil. If we don’t see a snap-back in prices for three to six to nine months, we should start preparing ourselves for a very large loss in supply, and brace ourselves for a shortage, unless suddenly demand does start to plunge, which so far it hasn’t done. If oil prices just stay unchanged for 18 months, or just bounce around with no confidence, then the industry will say, ”Oh, that was a mistake, we need to start drilling!” The lag time in getting started is another 18 months. In 30 months, we could find crude oil supply—which was 72.2 million barrels a day in the fourth quarter, according to EIA estimates—down to 66.5 million b/d, with worst case at 59.6 mb/d. That’s obviously an utter catastrophe. So, the difference between today and 10 years ago, when we had the “Asian flu,” is that the rig count recovered very quickly back then so we only had about 9 months when things could have really started to hurt. It snapped back so sharply. Also, back then we didn’t have decline curves nearly as vicious as we do today. The market in 1997 was tight as a drum until about the end of the year. It started weakening as 1998 progressed and then the surprise collapse grew momentum. In September 1998 I remember talk of stacking rigs, but six months later we were off to the races. Question: Can you compare the early stages of the Obama energy policies to the Bush energy policies. Simmons: They are as strikingly different as you could get in that the Bush attempts at energy policy were very concerned about shoring up and diversifying our supply, and returning to the need to figure out nuclear power because of signs that maybe our natural gas supply had flattened out. From the early signs we’ve seen from the Obama energy plans, it’s basically we need to end our addiction to oil because of climate change, and create a green revolution that will strengthen the American economy. I haven’t seen anything in print that would indicate that any of the people in the Obama administration have the vaguest concern about supply, other than the detrimental impact that supply might have on climate change. So it’s sort of a Tom Friedman-driven view. The only guy in this administration who is apparently steeped in concern about supply is General James Jones, National Security Advisor. As smart as those guys appear to be, I don’t think that any one of them is about to have the epiphany that—as serious as climate change might be—if we have a supply collapse, the game’s over. Question: Another major price spike in the offing? Simmons: We didn’t have a “price spike;” we had a decade-long rise of 15-fold in oil prices. During the entire decade, we have every lame-brain excuse you can imagine as to why oil prices were temporarily artificially high: the war premium, the risk premium, the labor unrest in Venezuela, the militant unrest in Nigeria, the lack of a quick response from Iraq when the war ended, all the projects that should have been done a decade ago that are just coming on stream, the weak dollar, hedge funds, speculators, abnormal growth in China. The only thing people forgot to look at is fundamental supply and demand. And what they should have looked at is the fact that, from 1997 through 2007, petroleum demand grew by just a shade under 13 million barrels a day and crude oil supply only grew by about 7 mb/d; and most of the growth was in the first half of the decade. So, we created a very tight market. And too often we topped up the market with stock withdrawls…and the price went up 15 fold. But the 15-fold rise didn’t really trigger an intense reexamination of our whole oil system. About 1 millionth as many people are worried about peak oil as those worried about climate change. With the benefit of hindsight, some of the numbers that were being bandied around during the 1990s, about how much permanent oil demand we had lost because of the Asian flu, were box-car-like numbers—demand is going to be off 5 or 6 or 7 million b/d. Demand in Asia was growing like a freight train: from 1993, demand for “other Asia” grew from 5.2 million b/d to 5.6, to 6.1, 6.5, 6.9 (1997), 6.9 (1998), 7.4 in 1999, 7.6 million b/d in 2000. So in fact the Asian flu just slowed demand down for 9 months….I kept saying, how sad to destroy the industry on the illusion of a glut. Now, it’s how sad to destroy the industry on the illusion of plunging demand. How sad. …The only number we ever get about real gasoline demand is when the states collect gasoline taxes and total them up. It’s published by the Federal Highway Administration in about the middle of the summer. …When the US got our total petroleum demand up above 20 million b/d in 2005 – 2007, we literally couldn’t supply it. We had to run our refineries at an unsustainably high rate, we had to assume that crude oil supply would start to grow again or at least stabilize. Our maximum capacity to import crude oil is 10 to 10.5 million barrels a day; it’s all we have the pipeline to do. We import finished products, but we export some as well. So when we get up around 20 million barrels a day, we make up the difference by stock liquidation. Something had to slow demand down. A sustainable figure is more like 18-19 million barrels a day than 19 to 20. So, gone are the good old days when we used to have booming demand: we can’t supply it. Question: When you look back on all the analysis that you’ve done, what do you think were your best and worst calls? Simmons: Most of my analysis hasn’t been ‘calls’ but just ominous warnings that we need to prepare ourselves for the worst and hope it’s not that bad. And the calls, per se, were that we were grossly underestimating demand. Going all the way back to the first five years of the 1990s when everyone was saying we’ve peaked in demand at 66-67 million barrels a day, I would say that what you’re looking at is the collapse in demand of the former Soviet Union and Eastern Europe that has totally counterbalanced the growth everyplace else. Unless you were willing to believe the FSU decline would go below zero, that will end. So the major assessment of the needs of China that I did back in 1997 was enormously valuable for me. I don’t know how it worked for everyone else, but I’m looking at how my education grew. The paper I did, “Could the Club of Rome Have Been Right?” [in 2000], when I looked at countries that went from being poor to being not wealthy but not poor any more—you can make book on oil demand rising. Then came my “The World’s Giant Oil Fields” paper. But then it was just a relentless study of facts and figures about depletion and trying to understand why this depletion happened—what’s mechanically going on, the cause of that, and what we can do to mitigate it. And finally wading into the reality of Saudi Arabia’s oil, reading those stacks of technical papers that forced me to finally close the loop of what a lot of this stuff mechanically actually meant, like someone finally understanding what makes your toilet flush. My worst call? The one I got severely criticized for being just one of the goofiest things for quite some time was back in 1997. In preparation for giving a keynote address to the National Association of Drilling Contractors, I took on the rumor that the offshore drillers couldn’t stand prosperity and that, one more time, they were going to overbuild the fleet…as they were adding five new rigs. I got so tired of hearing this naiveté that I spent the weekend preparing a talk. I was pleased with the talk and turned it into a white paper--“The Case for Rigs.” I asked that, if we wanted to have a healthy offshore drilling fleet by 2007—and we’ve better, since the offshore was responsible for 101% of all of our growth—how many rigs would we need to add between now and 2007 if we wanted to have a robust new fleet? Most of it was for replacing the old rigs. I said that if we’re dumb enough to actually not do that, then our roof is going to rust away. I showed a need for 450 offshore rigs, and people thought that was the most astonishing thing they had ever heard. Then, when the oil price collapsed, that was deemed to be one of the classic bumble papers ever written. And now were sitting on a fleet of 500 offshore rigs that average 29 years in age, and they are rusting away. I think it’s actually unsafe to have crews on the oldest rigs. One of these days, a leg will rip apart and the rig will flip over and 250 people will die and that will be our Piper Alpha [the UK rig disaster in the North Sea that was caused by a fire in July 1988]. Question: So people viewed that as your “Drowning in Oil” misstep? Simmons: I didn’t ever think so. I was talking about what would happen by 2007. Question: My last question: have you been surprised by the gas industry’s growth in shale gas? Simmons: I’ve been surprised by the hype that assumes there’s been major growth in shale gas. I don’t think there has been any data of any reliability that proves we’ve actually had the growth in shale gas that we think we have. Question: Some people here in the industry in Colorado are promoting it big time. They see it as a game changer. Couldn’t they be right? Simmons: I’ve never seen the industry hype something crazier. Here are some numbers that I find enlightening. Of all the shale plays, the only one that we have significant production history on is the Barnett Shale. In the Haynesville, I think there are around 20 or 30 well-tests so far, and I don’t know that there are that many in the Marcellus. Consider these figures in the March 22 Barnett Shale Newsletter. It shows Barnett Shale total natural gas production by year, 1982 to 2008, all counties and fields in the Fort Worth Basin. In 2004—3890, then 4973, then 6542, then 9180, then finally 12104; and I thought, gee, we increased production X%, but then I realized that’s the number of wells! In 2008, we went to 4.8 Bcf a day, from 3.56 the year before—or up 1.24 Bcf/day. We’re looking for an increase of 8 Bcf, according to the EIA numbers, so the Barnett Shale did 1/6th of that. Here’s another interesting set of numbers. All the big natural players have all now reported their results. The top 10 players increased their production in 2008 over 2007 to the tune of 685 mmcf/day. Unfortunately that was mostly offset by the top 10 gas decliners, led by ExxonMobil, BP, ConocoPhillips, Chevron, RoyalDutch/Shell, Marathon, Newfield, Hess, and they dropped 601 mmcf/day. So we netted out a plus 84 mmcf/day. Then you have about another 800 coming from about 40 individual reporting companies, but none of them are big enough—even if they tripled their production—to really make a difference. So that means that to match the growth that the EIA believes happened, then the residue—these hundreds and hundreds of mom-and-pop operators—would have to have grown their cumulative production twice as fast as the top 10, which obviously didn’t happen. The EIA started reading the hype. And even though they probably have been puzzled that the number of gas wells completed went from 8,000 to 10,000 a year up to last year’s 33,000, and all we did was tread water for nine years. So right at the end of the year last year they started showing month-to-month growth year-over-year of 5%. Then in January they knocked their model up to 9%, so every month it was up 9%, year-over-year. They just knew, because they read the hype. We won’t have any real numbers until the states report what they collect, in the 3rd quarter of 2009. But I think we have the numbers in [from the companies] to say that we barely grew supply. Too bad we destroyed the industry. Barnett Shale also has a production profile where peak initial production happens virtually when you come on stream, because of the way you frac the wells. By the end of the first year you’re down 70%. Simmons: It’s the most hyped play since Kashagan, which was later derisively called “Cash is gone."